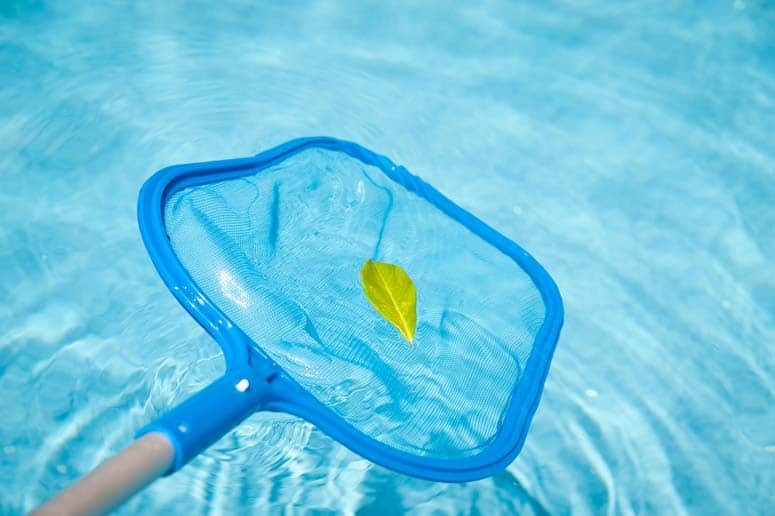 A swimming pool leaf skimmer is essential for minimizing debris in your pool’s water. Keeping the interior of your swimming pool fresh and clean doesn’t demand intensive labor, but it does take a steady commitment. Expect to spend between four and eight hours each week during peak season—a small outlay compared to the amount of time you’ll spend enjoying your pool. Using the right tools will make cleaning your pool easier and faster. You’ll find these at any large pool-supply retailer. Leaf skimmer. 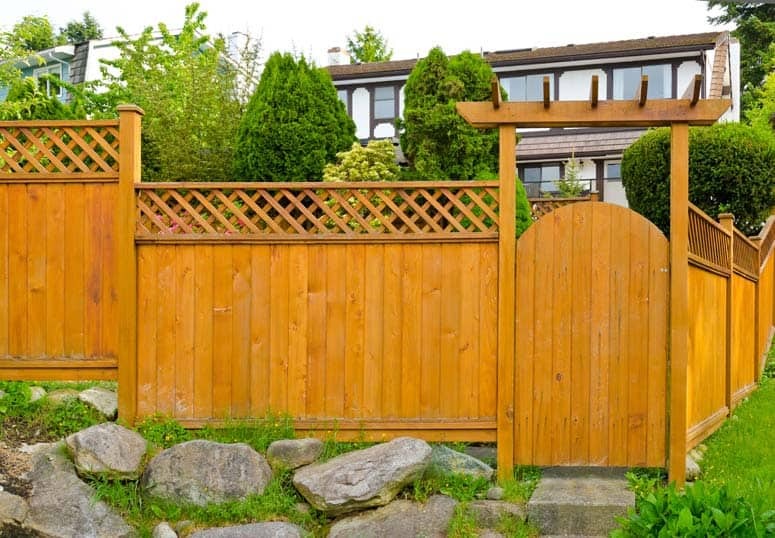 This long-handled net is a must for removing large pieces of debris. Vacuum. 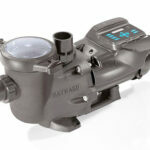 Another weapon that’s essential in any cleaning arsenal, a pool vacuum either connects to a pool’s circulation system or has its own power supply. Vacuums suction out dirt that has settled to the bottom. Automatic vacuums take the chore out of keeping the pool surfaces clean. Powered by the pool’s water pump, they motor around like little robots, sucking up debris. A pool vacuum has a hose that hooks up to the pool’s intake. You guide it along the bottom and sides with an extension pole. Wall and floor brush. This nylon-bristle brush cleans the walls and floor of vinyl, fiberglass, and painted pools. Algae brush. Concrete pools may require one of these as its stainless-steel bristles are up to the challenge of cleaning plaster walls. Tile brush. 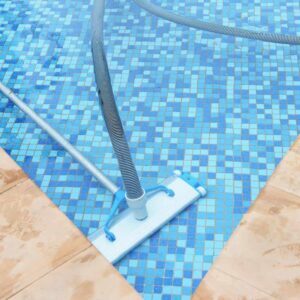 If your pool has tiled walls, a handheld tile brush is great for removing calcium scale and other deposits without harming the grout. Use a pumice stone for stubborn spots on tile. 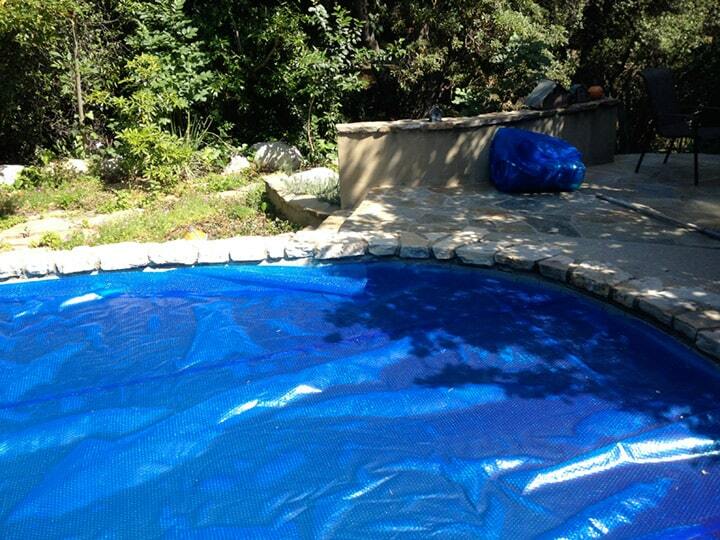 Skimming by hand is one of the quickest and most effective ways to keep a pool clean. 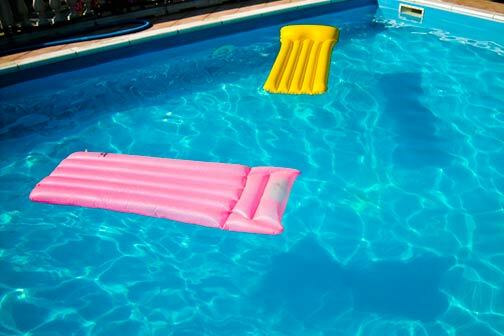 A few simple swipes will remove floating objects such as leaves before they sink to the bottom, greatly increasing the efficiency of the pool’s circulation system and reducing the need for chlorine. Keeping the strainer baskets clear will also boost the efficiency of the circulation system, resulting in a much cleaner pool. 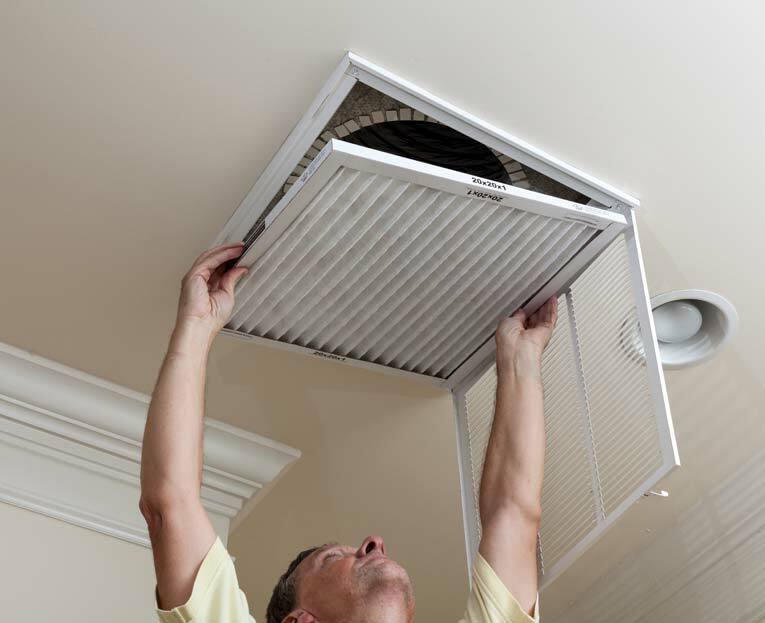 At least once a week, remove leaves and anything else that could obstruct the water flow, especially if your vacuum is connected to a mechanical skimmer. Strainer baskets may be in the pool deck or, for an above-ground pool, attached to the side. Brushing the pool walls at least once a week helps eliminate everything from calcium scale to algae buildup before they start to become serious problems. 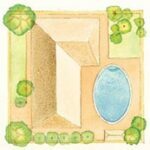 You can use a stiff brush on a plaster-lined concrete pool, but fiberglass and vinyl pools require a softer brush. For tile, be sure not to use anything too abrasive or stiff—it can scratch the tiles or destroy the grout. Water-line tile scum can be removed with a nonabrasive chlorine-based liquid and a tile brush or a sponge. For tough spots, use a nylon scouring pad or a pumice stone, which works like a giant eraser. Whatever type of pool you have, use a cleaner recommended by the pool manufacturer.